There is only one hospital in Union County, Oregon; a county that covers 2,038 square miles and has more than 25,000 residents. The county’s main economic driver is farming and it offers hunting, fishing and camping for leisure. 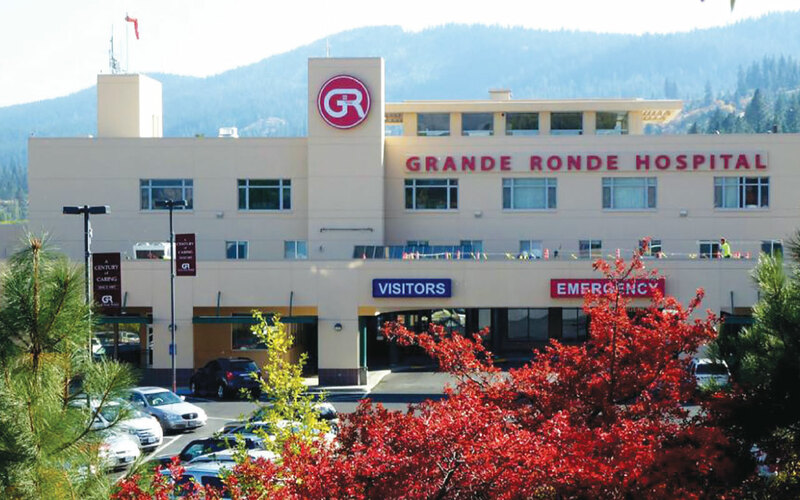 The hospital that serves the residents of the county is Grande Ronde Hospital (GRH). The hospital’s doors were opened for the first time in 1908. A new facility replaced the aging one in 1966. Additional construction in 1982 and 1992 extended the hospital’s footprint and offerings. 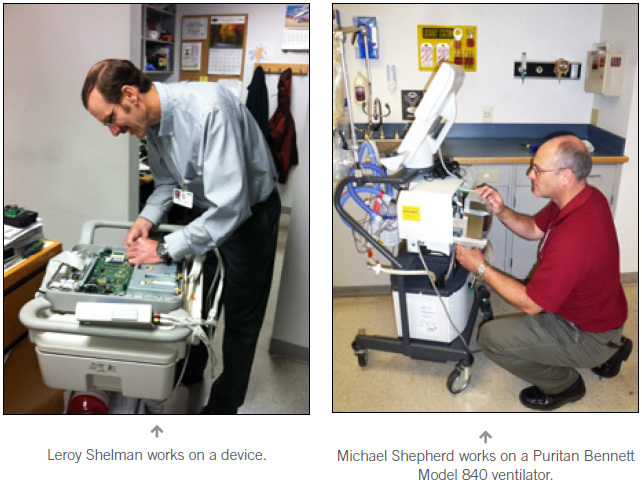 A small group of HTM professionals oversees the maintenance and repair of the hospital’s medical equipment. “Our department consists of a combined clinical and facilities engineering group of 18 people,” says J. Michael Shepherd, BS, CBET, Biomedical Equipment Technician II. 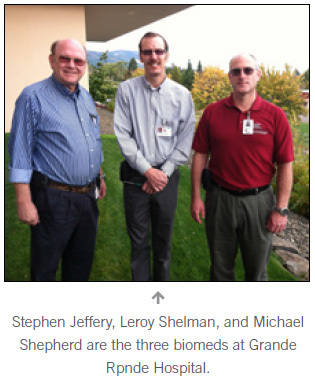 “Of that group, there are three biomeds; myself, Leroy Shelman, and Stephen Jeffery. Our department manager, Elaine La Rochelle, is the Director of Facilities here at GRH and is a Certified Healthcare Facilities Manager,” Shepherd explains. The department is responsible for equipment at the main campus and several satellite locations. As a smaller group of HTM professionals, circumstances require that the group be generalists and very flexible. The biomeds who make up the small contingent do have their areas of expertise. “Leroy focuses on ECG, lab, and radiology. Steve focuses on anesthesia, thermometry and patient monitoring. My focus areas are patient monitoring/telemetry, ventilation and infusion,” Shepherd says. The biomeds try as much as possible to provide in-house service on equipment for the convenience of the clinical staff. Shepherd says that all three of the department’s biomeds are members of the Oregon Biomedical Association. Because of a reciprocation agreement, they are also considered members of the Washington Biomedical Association. “In addition, I am also a member of the Intermountain Clinical Instrumentation Society as well as AAMI,” he says. The department has been involved in some special projects, both related to medical equipment and representing the HTM profession itself. With the ever-evolving relationship and handoffs between CE and IT, the team at Grande Ronde has it figured out. “We are separate departments, but have a fairly good working relationship with IT. Given the network intensive nature of modern medical systems means that collaboration is necessary from planning, through implementation, and finally to active use,” Shepherd says. “There were two issues that we have had to address recently; both are incidences where the worlds of HTM and Information Technology interface,” he explains. The team at Grande Ronde also used its problem-solving skills to solve another technology conundrum. Also, Shepherd has represented his team as he has become very involved with the alarm management task force at Grande Ronde. The task force was created in response to the Joint Commission National Patient Safety Goal of reducing alarm fatigue. In a variety of ways, HTM professionals across the country have found ways to let the next generation of biomeds know about the profession. Many have found ways to bring about more public awareness of what biomeds do. “This [past] spring was the first year that clinical engineering was asked to present at our hospital’s annual community health fair,” Shepherd says. He ran a booth for the day, demonstrating a small selection of equipment to raise awareness about the HTM profession. If there is an outstanding department that you think would fit for our Department Profile feature, please fill out the form below.